In the past years, MPR China Certification GmbH / China Certification Corporation was awarded by Chinese certification authorities several times. September 4th 2014, representatives of the “National Center of Supervision and Inspection on Motor Vehicle Products Quality (Shanghai) and Shanghai Motor Vehicle Inspection Center” (Chinese: 国家机动车产品质量监督检验中心 (上海) 暨上海机动车检测中心) presented Mr. Julian Busch, CEO of MPR China Certification GmbH / China Certification Corporation, an award for the excellent cooperation during the last years. The award was granted due to the company’s outstanding performance in the area of CCC certification of complete vehicles and automotive parts. The test laboratory explicitly mentioned the excellent preparation of test samples and the high quality of CCC application documents as well as the excellent customs clearance procedures of the samples which is handled by MPR China Certification GmbH / China Certification Corporation. Test reports usually include information out of the application documents. To issue test reports correctly, the responsible engineers are highly dependent on the careful and diligent work of the applicants. 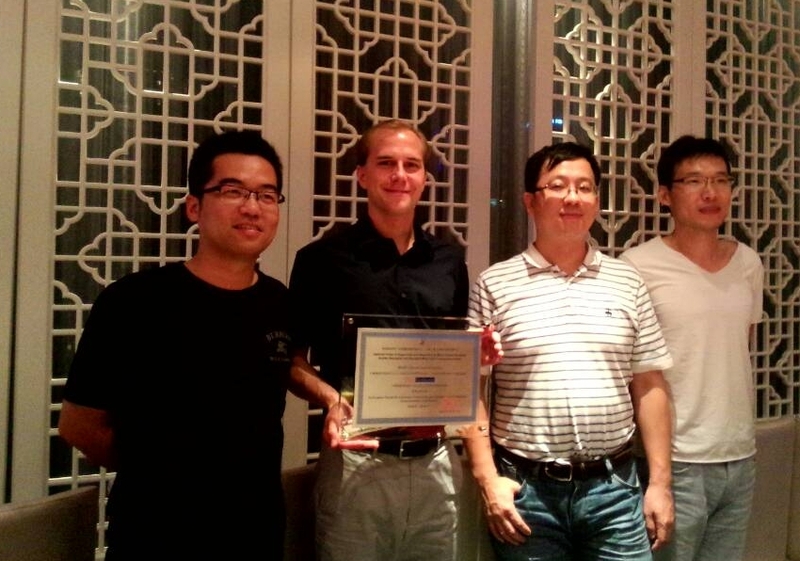 MPR China Certification GmbH / China Certification Corporation and the Shanghai test laboratory surely want to continue the cooperation regarding CCC product testing in the future, expand collaboration and strengthen mutual trust. 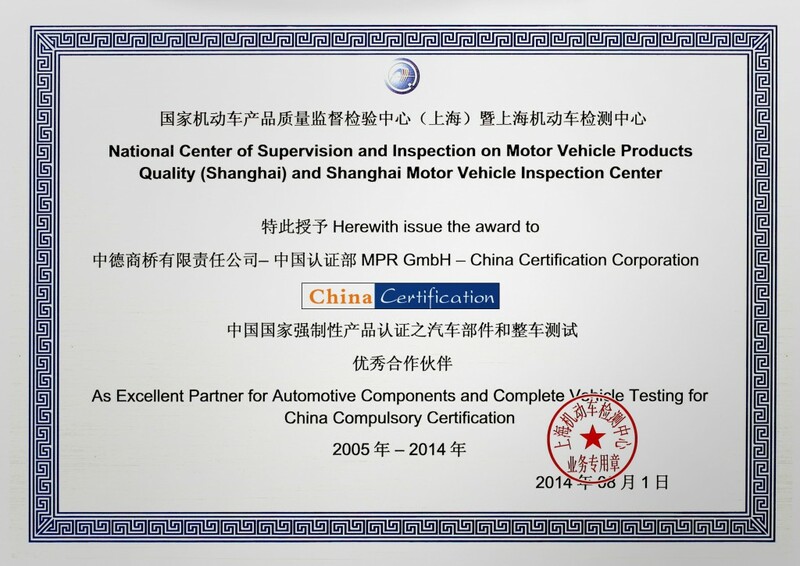 Not only MPR China Certification GmbH / China Certification Corporation and National Center of Supervision and Inspection on Motor Vehicle Products Quality (Shanghai) and Shanghai Motor Vehicle Inspection Center, rather all clients of MPR China Certification GmbH benefit from this close partnership. You will find more information about the award in our “News” section here. 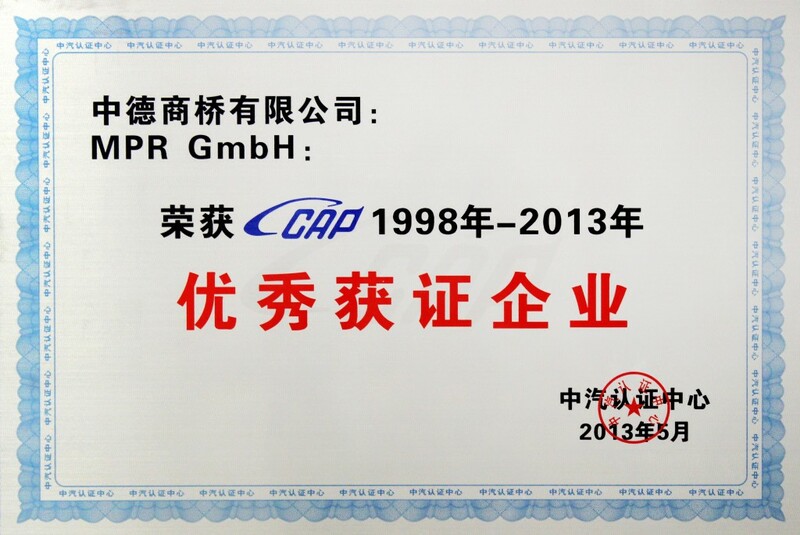 On May 9th, 2013, MPR China Certification GmbH – China Certification was invited to a workshop held by the China Certification Center for Automotive Products (CCAP) as part of CCAP’s 15th anniversary celebration. During the event, MPR China Certification GmbH – China Certification was the only foreign certification company awarded as an “Outstanding Certification Company” by CCAP Managing Director Mr. Qiang Yi. 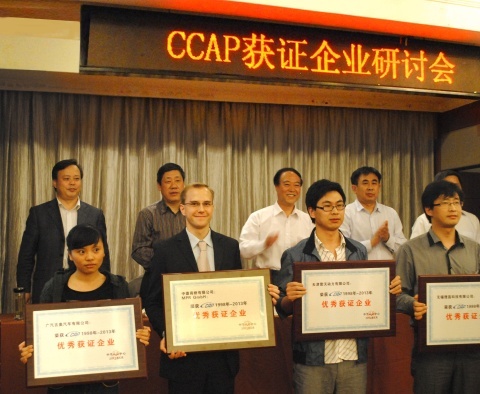 China Certification would like to express its gratitude for the award and for the years of excellent cooperation with the CCAP. Are you interested in our services regarding CCC certification? Then contact us! Write us an Email or call us: Germany: +49 69 271 3769 150, UK: +44 2071931135, US: +1 773 654 2673.